Can you beat the Turkey?! 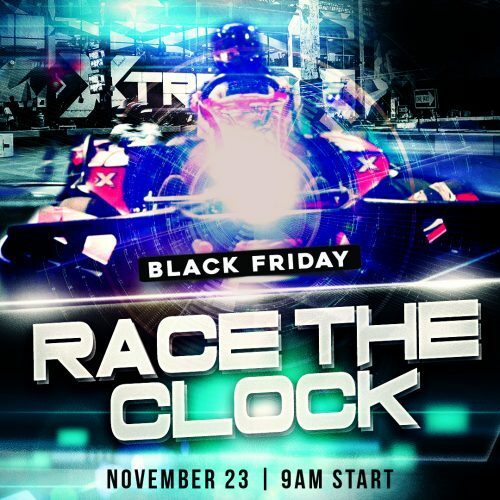 Join us on Thursday, November 22, 2018 for our annual Thanksgiving go-kart race – The Race a Turkey Challenge. We are open Thanksgiving Day for limited hours (11am-4pm) and we’ll be go-kart racing Turkeys ALL DAY LONG! 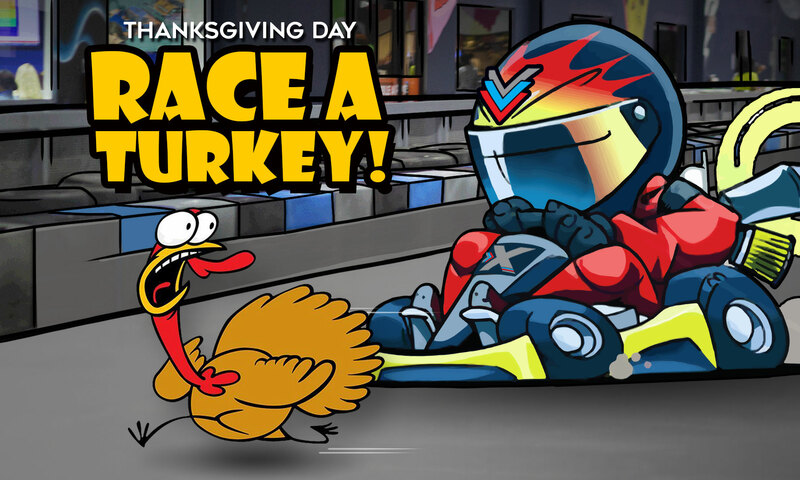 Be the turkey or beat ’em!… Every race we’ll randomly select a “turkey” driver who will have a special turkey helmet. 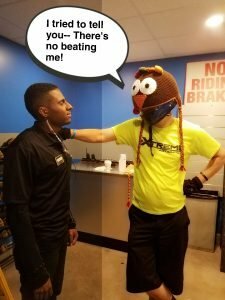 The goal of the race is to beat the turkey, OR if you’re the turkey, beat everyone else! PRIZES: The person who wins the race will receive a $5 Arcade Card. If the Turkey wins they’ll get a $10 Arcade Card… Hey, the Turkey deserves some love on Thanksgiving, don’t you think? No need to sign up. Standard Racing Pricing applies.